Thaw fish, if frozen. Grease a shallow baking pan; set aside. Preheat oven to 450°F. 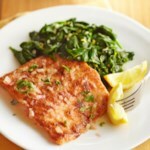 Rinse the fish; pat dry with paper towels. Measure thickness of the fish. Pour buttermilk into a shallow dish. 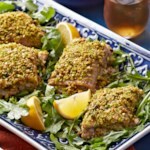 Combine breadcrumbs, parsley, dry mustard, salt, and pepper in another shallow dish. 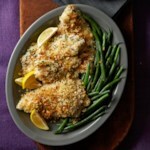 Dip the fish into the buttermilk, then into the breadcrumb mixture, coating it on both sides. 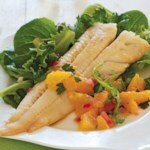 Place the coated fish in the prepared baking pan. 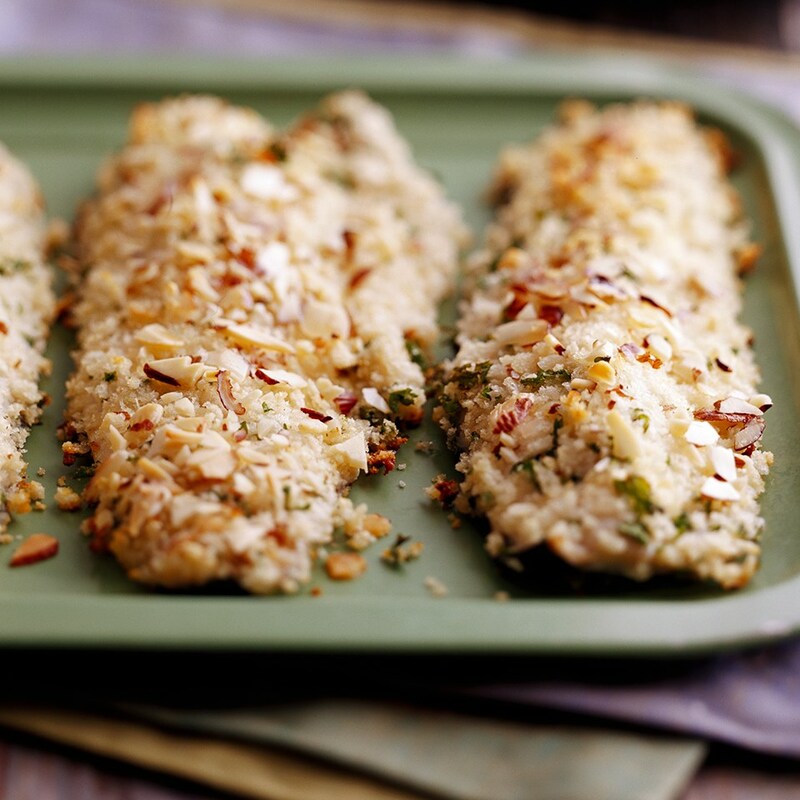 Sprinkle the fish with almonds. 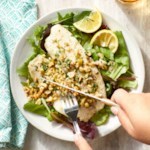 Drizzle melted butter over the fish. 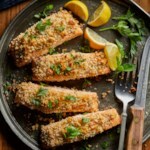 Bake for 4 to 6 minutes per ½-inch thickness of fish or until the fish flakes easily when tested with a fork.